Tempur-Pedic provides a line of memory foam mattresses that are considered higher end. The company transformed the industry a couple of decades ago by taking the memory foam category mainstream. The foam was originally developed for NASA as a material to cushion aircraft seats, but was introduced to the US as a mattress brand in 1992. The company went public in 2003, and then merged with Sealy Corporation in 2012. Currently they are manufacturing in their factories in Virginia, New Mexico, and El Salvador. The brand has now become synonymous with memory foam and it has continued to have major success. This review will take a look at the collection of their mattresses as a whole. I have also done reviews on each of the individual models and would encourage you to check those out as well. Tempur-Pedic is the king of memory foam and makes amazing mattresses that are both comfortable and supportive. Get the best current deal on Tempur-Pedic simply by clicking the button below. Those Who Are Used To Or Are Generally Fans Of The Memory Foam Feel– Memory foam beds are not for everybody. However, those who like memory foam really tend to like it a lot. If you don’t like the memory foam feel, it doesn’t matter how good the mattress is. I would only look at Tempur-Pedic if you are specifically seeking out memory foam. My advice would be that if you aren’t sure, try to get access to a memory foam mattress for a couple of nights of sleep and see if you like it. If you do, then one of the Tempur-Pedic mattresses could be a great fit for you. Someone Looking For Pain Reduction– A big reason people love Tempur-Pedic is because the mattresses are great at providing pain relief. 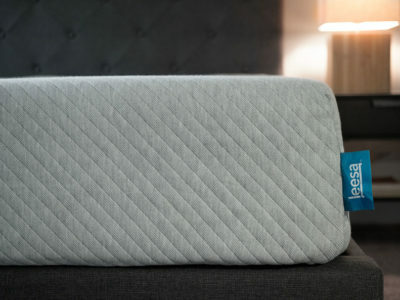 The high-quality memory foam reduces the pressure points, allowing for a comfortable sleeping experience that doesn’t hurt the hips, shoulders, or neck. At the same time, their collection of models, especially the higher density models, do a great job of conforming to the contours of a person’s body. That promotes spinal alignment and ensures the back can be in its natural, healthy position throughout the night. If you are looking for a mattress that can provide pain reduction, Tempur-Pedic might be a good place to look. Someone Who Has Trouble Sleeping Smoothly Sleep Throughout The Night– Tempur-Pedic mattresses do an especially good job of relieving pressure points. People tend to wake up in the middle of the night when there is too much pressure on either the hips, back, or shoulders. People will wake up with soreness or the feeling of numbness because of that pressure. Tempur-Pedic does a great job of addressing this issue, and most people will sleep better throughout the night as a result. Couples– Tempur-Pedic does an especially good with motion transfer (especially the higher density models). As a result, if you sleep with a partner and that person moves around in the bed, you likely will not be disturbed by that movement. This can really improve the overall quality of sleep for both partners. Tempur-Pedic mattresses can be great for couples. Who Might Not Want To Get A Tempur-Pedic? Those Used To The Traditional Innerspring Feel– Generally, memory foam tends to be a love or hate feeling. There are “memory foam people” and those who just don’t like the feeling. The traditional innerspring feel is quite different from what you get from Tempur-Pedic. If you are used to that feel and like it, then Tempur-Pedic might not provide the best options for you. 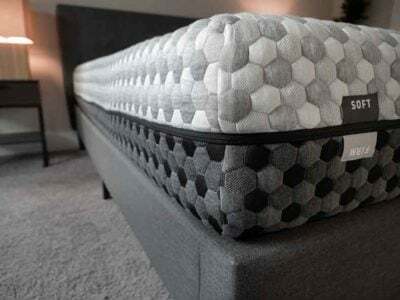 You Don’t Plan On Having The Mattress For A Long Time– Tempur-Pedic mattresses are pricey and they are quite durable when compared to other brands. The value of the mattresses really comes from them being a long-term investment. If you don’t plan on keeping the mattress for more than a few years, perhaps you can get better value from other mattresses. Those Looking For A Bouncier, More Resilient Feel– There are many mattresses that provide a bouncier, springier feel to them. Latex, for example, is well known for being “bouncy,” and that’s a feeling that certain people really like. That is not what you get with TempurPedic, so if that’s what you are looking for, perhaps you should potentially look at some other brands. Those With Budget Constraints– Tempur-Pedic mattresses do not come cheap. If you are on a budget, they might be out of your price range. There are probably some other cheaper alternatives that might suit you best. This really comes down to your budget and your personal preferences. I wrote a separate article highlighting the pros and cons of each model, which you can check out here. 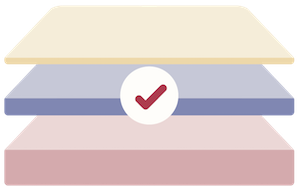 Here’s a few things you should note about their line of mattresses, however. The Softer The Model, The More Expensive It Is– If you want something that’s softer, then with Tempur-Pedic you will have to pay more. If you want something firmer, then you are in luck because those models are generally less expensive. 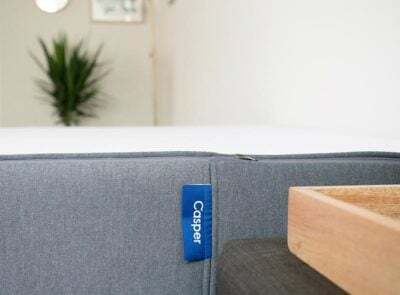 Breeze Models Are Effective But Pricier– Breeze models do an effective job at keeping the mattress cool, but you will have to pay an additional $1,000 to get the Breeze version of the mattress. I would recommend doing this only if you are especially sensitive to sleeping hot. Flex Models Provide A More Resilient Feel– If you want pressure relief but want a springier foam feel where you don’t get the feeling of getting stuck, then you should take a look at the Flex collection models. Thicker Models Tend To Be More Expensive– As you would expect, thicker materials are going to be more expensive. Some people, like heavier people, for example, should get a thicker mattress, but not everyone needs to do so. If you want to get detailed information about the specifications of the different models, the company doesn’t make that information available. There are some estimates out there, but this is one thing to note if you want that extra detailed information. In my Contour Supreme review, I show a backhanded way of making an educated guess as to the quality of the materials. There have been some complaints with some models that they can “sleep hot.” If you are especially sensitive to this, they have come out with “Breeze” models that aim specifically to address this issue. If you are looking for the best Tempur-Pedic model, the Breeze models might be up there for consideration but they are more expensive. See also our article on getting the best memory foam mattress. In general Tempur-pedic makes some great mattresses. They pioneered the memory-foam mattress to make it a mainstream item and continued to innovate. 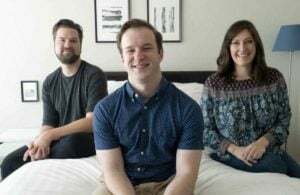 Though I think you'll sleep well on a Tempur-pedic, the buying process can be difficult and you are definitely paying a lot for the brand, not necessarily the intrinsic quality of each mattress. We have loved our Tempur-Pedic Cloud Luxe mattress for 5 years now. At $3,500 we felt that we were purchasing a premium product. However, over the last 2 months both of us have begun to experience hip pain and it has become severe. When we get up, the pain subsides within 20 minutes. When we sleep on another bed, we are pain free. This supposed premium product has turned out to be inferior. And of course, there are more exclusions to their warranty than there are threads in the mattress cover. I will NEVER purchase another Tempur-Pedic product ever again, and I will make sure as many people know about my dissatisfaction as possible. This is NOT a good company; it does not stand behind its (discovered inferior) products. We have had a tempurpedic mattress for many years. (I think at least 12) . 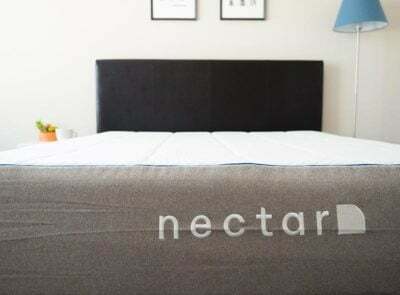 I love it, I recently purchased a nectar mattress for a guest bedroom , and I’ve slept on it a lot, but I’ve decided to send it back. I never sleep as soundly on that nectar mattress as I do on the tempurpedic. Yes, sometimes we get too hot, but even that doesn’t bother us. My husband has arthritis and the warmth helps him. I actually am on here trying to find out if anyone else is making a memory foam mattress that compares and isn’t so expensive. One thing I do know is to look at the density of the foam. Our mattress is extremely heavy and that it because of the density of the foam which makes a huge difference in the quality of the mattress. the price of these mattresses have gone up ( A LOT! ), seems like since they have been around all this time and there are competitors it would have gone down. Might just have to bite the bullet and pay the high price though. Loom & Leaf and Amerisleep are good options to look at. I bought the tempurpedic mattressI because of my bad back, I’ve had about 1 yr.
and I hate The mattress. It was $3,000.00 and I still have $500.00 to pay it off, I’m a senior citizen on fixed income and I have had mattresses I paid $300.00 that have been great comparing to this one. It has a hole in the area I sleep, its awful!!! In reading all the bad reviews, ur consistant with your treatment, I hope you are proud of your company, and feel u can hold up your head with pride!!!! Its HOT! its ridiculously EXPENSIVE! BAD Warranty service! I cant say enough about how bad this company and bed is. I had to choose between sleeping with my newly wed wife in this bed or getting a good night sleep. Most of the time we have to run the AC just to go to sleep. I’ve slept on many kinds of beds in my life and all have pros and cons but this one is the over all worst. it took about a month just for the smell to go away and to get used to sleeping on the bed. after that i slept ok for maybe 3 or 4 months even though the mattress was really hot. after that i started getting pain in my hip because the bed got so soft it wasn’t supporting my back and hips anymore. i messaged the warranty people to let them know. In a nutshell i had to send pictures of the soft spot which actually turned out to be a dip in the mattress. Apparently my dip wasn’t big enough for them so they would not deal with me anymore and pretty much told me to come back when the dip was bigger (I’ve only had the mattress a year ish) . since then I have spent an entire month sleeping on the floor( not great for a new marriage). I now alternate between bed and couch because my wife likes sleeping together. Do not buy a Tempur Pedic Bed there is a ton of research out there on Consumer reports /rip off report trust me we had a very bad experience with them and dipping and not worth all the money and I hear they are dangerous -looking for a better mattress because after our original bed failed after a few years and caused back problems they sent us defective mattresses then when we asked again they denied our claim. complaints through BBB and others with no results. I have to pay a large sum for something I am displeased with. Have a look at your return policy. I had the exact same issue: One side was like sleeping in a hole. The store agreed to replace it; will see if the replacement has the same issue. BIG MISTAKE We bought a tempur-pedic. It was a huge high dollar mistake. My hips hurt when I sleep on my side. My arms fall asleep when I sleep on that mattress or on the floor in the cabin or the mats in a Japanese motel. The side of the matress slopes down and you can not sit on it to put on your shoes and socks. There is not any give or “cushy” anything. I get out of bed and sleep in the recliner chair. The store is deaf about the fact a park bench has as much creature comforts as the mattress. I bought a body pillow to lay on in bed. it is not comfortable. I bought a Seely posture pedic matress topper in hopes it takes the sleeping on the floor feeling away. I wish I had considered alternatives. My old mattress with the broken spring was better then this. I am the #1 Mattress Salesperson in the United States; both in volume of total Mattress sales and average Mattress price per sale. I say Salesperson because I want you to think I’m sleezy, don’t want you to trust me….I’m the best because I broke my back at 12 years old, owned 7 mattresses in 13 years (all the top brands, Ex: my grandparents paid $23,000 for a HASTEN mattress) custom builds….I still have that mattress in a spare bedroom of my new home. I’m the best because Tempurpedic is the best. 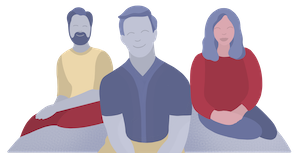 I sold 147 tempurpedics in 8 months 2017, I have had 2 people dissatisfied with the comfort level and rather than get their money refunded opted to a different model. I can honestly say from first hand, professional, boots on the ground; sales experience it is the best sleep system you can sell. As an individual living in constant pain, as a customer, from a childhood accident I can guarantee it is the best money you will ever spend. If I’m wrong their is a 90 day comfort guarantee, meaning you are not stuck with it. The only thing you have to lose by not trying Tempur is the best sleep of your life. I know…that’s a sales pitch. But if you have pain tossing and turning during sleep…bending in ways you wouldn’t while awake isDESTRUCTIVE to your sleep/health. 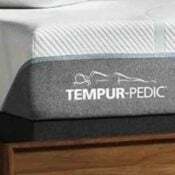 Pressure point relief will change your life and TEMPUR is the best by far, I have owned them all. So if your objection is price, pull out a calculator add the price of the dresser you keep your socks in, and the nightstand that you keep your trash and phone while charging, with the bed frame that holds the mattress. Now that you have that figure consider the obvious…..if you are paying more to hold your dirty undies, your phone while charging, and the mattress; than on THE MATTRESS ITSELF( WHICH HOLDS YOU)… you need to re-evaluate your priorities because you are losing at the little thing called life. You are worth more than underwear because the nice clothes you own have their own room called a closet. Bottom line spend more on the mattress not on where to put your socks. You can afford it. It’s worth it….you are worth it. If I am used to sleeping on a foam core futon ( 10-12″ thick) with a 1″ thick wool pad topper, would tempur-pedic be a good match? Would placing the wool topper eliminate the “sleeping hot” problem, or would that negate the whole point of a memory foam mattress? I don’t have experience with wool toppers, but I do think that would help with the issue of sleeping hot. tempur-pedic logo is sexist and exploits women, with the naked women in it. why not use a naked man? this company exploits females!! Mik Aren, please tell me you are joking by that. If not that is an exceptionally stupid comment. which Amerisleep and Loom and Leaf would you compare directly to the Rhapsody? The Revere and the Firm?